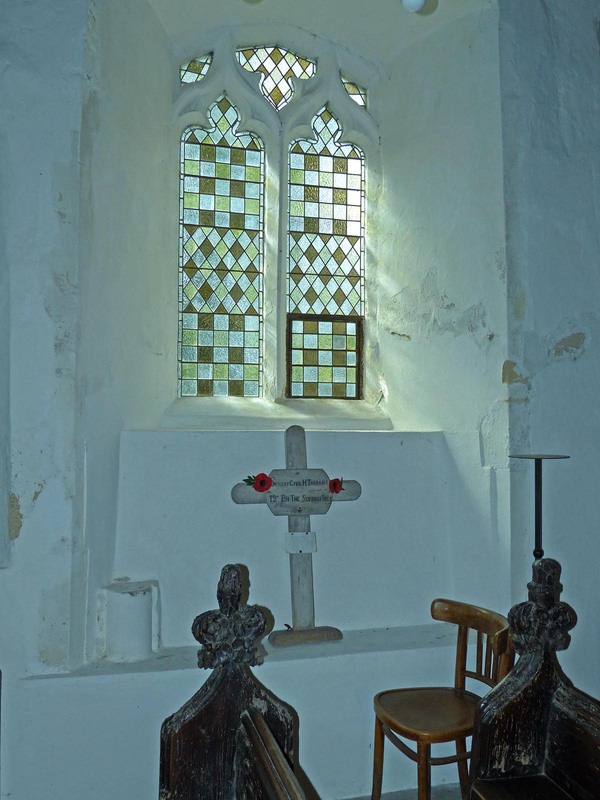 Mounting to wall: The Cross is freestanding leaning against a wall under a window. 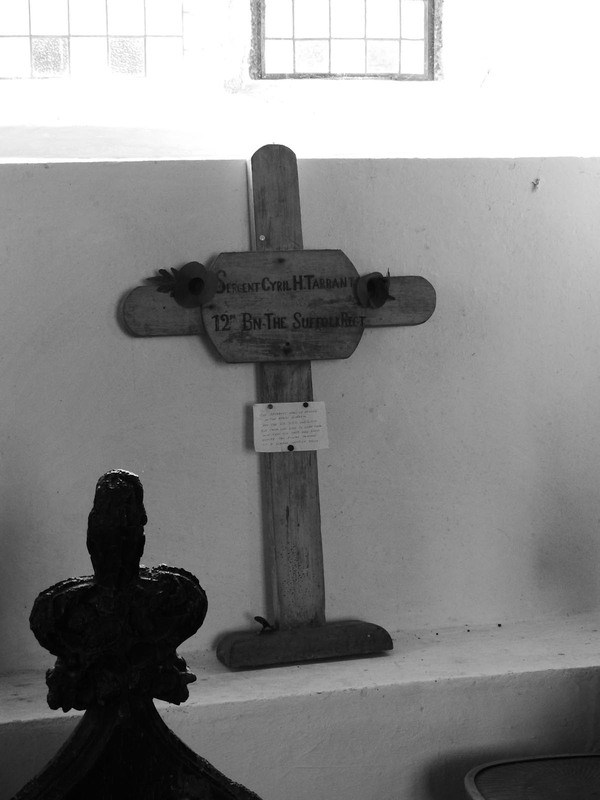 The base of the cross is in a mount which looks contemporary with the rest of the Cross. It is painted / washed white wood. 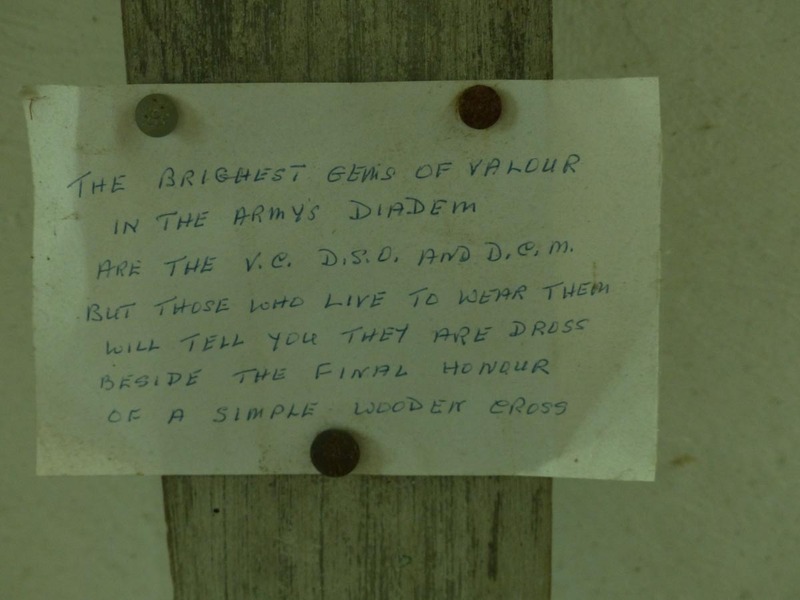 Are the V.C., D.S.O., and D.C.M. 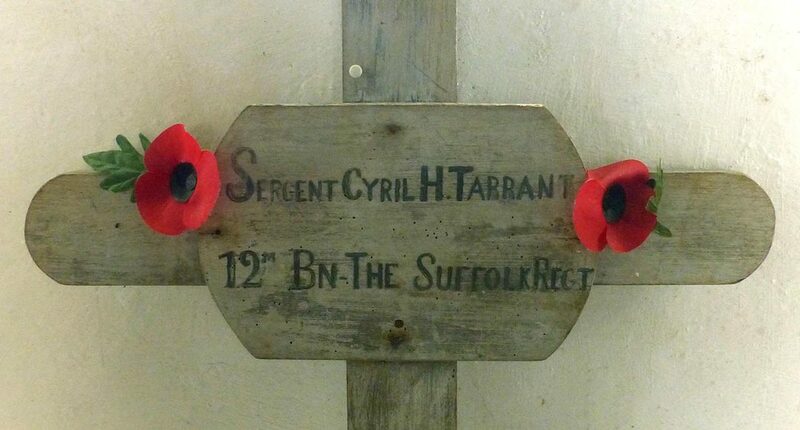 Sergeant Cyril Harold Tarrant enlisted around 7th September 1914 and joined the 9th Suffolks. He transferred to the 12th Suffolk Regiment on the disbandment of the 9th Suffolks in February 1918. The 12th Suffolks were reduced to cadre strength and in June 1918 returned to England. They were then reformed by absorbing the 16th Suffolks and returned to France, landing in Boulougne on 5th July. On the day that Cyril was killed the battalion was in training at Bayenghem-lez-Eperlecques. The War Diary for July records that there were no casualties in the battalion that month so Cyril was probably attached to another battalion at the time of his death. Commonwealth War Graves Commission records show that Cyril was first buried by the German Army in Bonsecours Communal Cemetery and was later move to Tournai Communal Cemetery Extension. 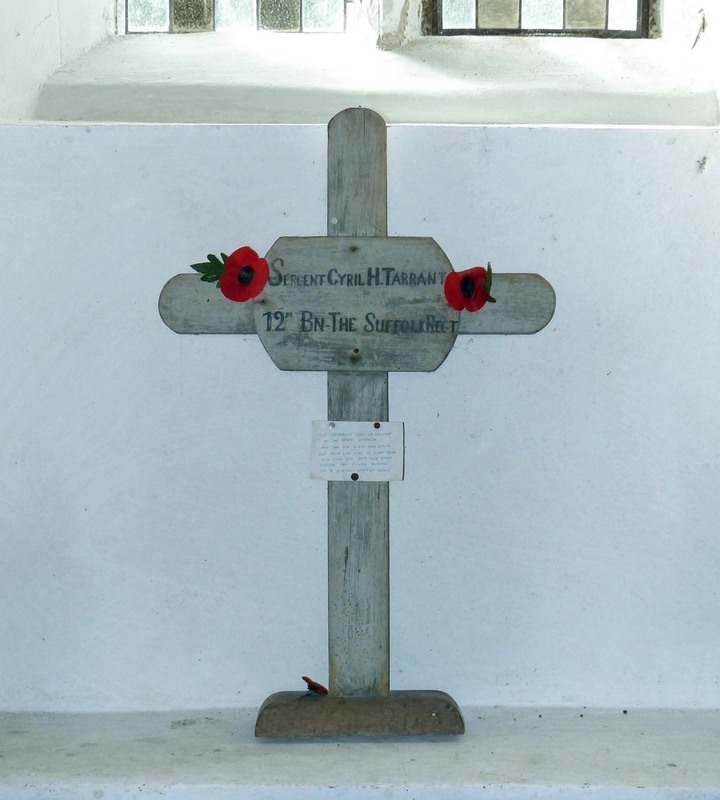 His cross was returned to the family by an officer of the 9th Suffolk Regiment, 2nd Lieutenant George Head. 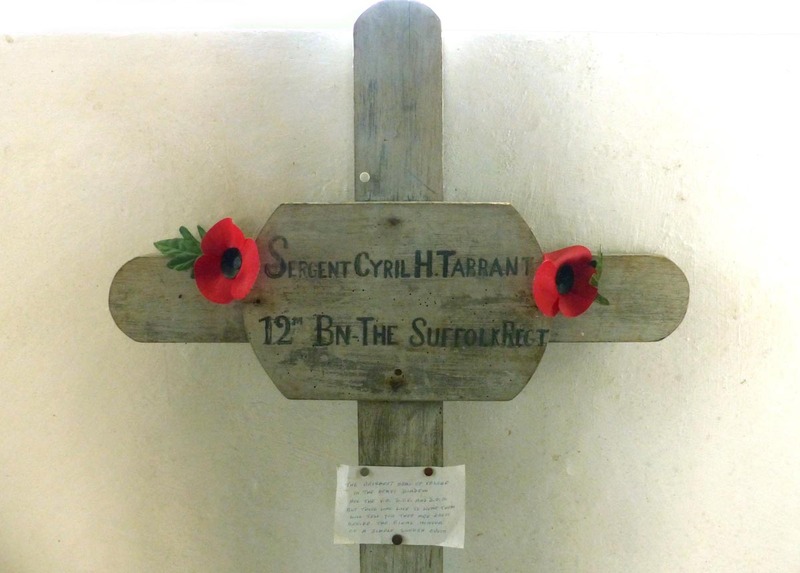 Sergeant Cyril H Tarrant died in Parchim prisoner of war camp in July 2018. I have a transcript of the telegram notifying of his death which I found in my grandfather’s papers. My grandfather lodged for a time with the Tarrant family at Monewden before the 1914-18 war and he and Cyril were great friends. If you would like more information, please contact me. If you have more information I’ll happily rewrite the piece I did about him and submit it to this site as an update. Good afternoon Elizabeth. My name is Roger Gooding, I live just out of Ballart in Victoria, Australia, and Cyril Tarrant was my great uncle. His sister, Nita, was my grandmother. 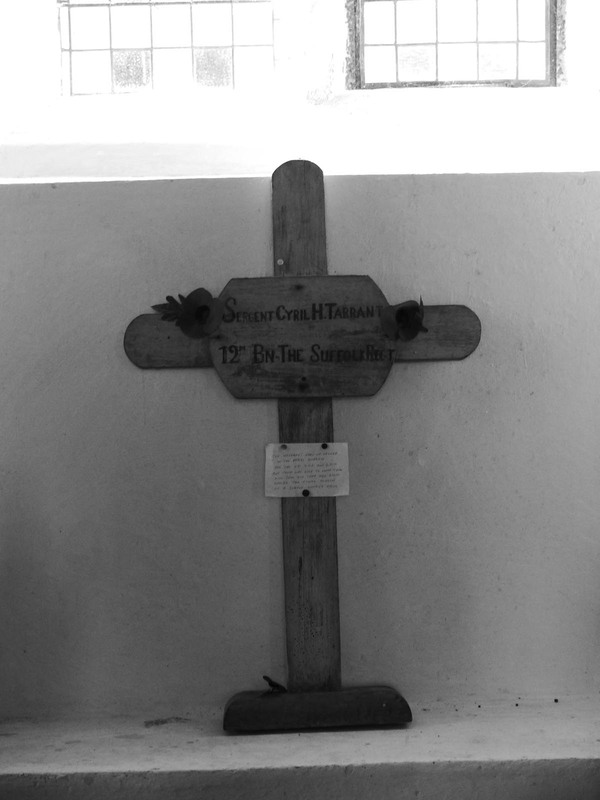 I visited the church at Monewden when I was last in Suffolk and viewed and took photos of his cross. My aunt, Myra Brown, who lives in Ipswich, gave me a wonderful photo of Cyril which my grandmother and her sister, Duff presented to their parents on September 14th. 1919. They inscribed the back of it. I do not know if the date has any special significance. 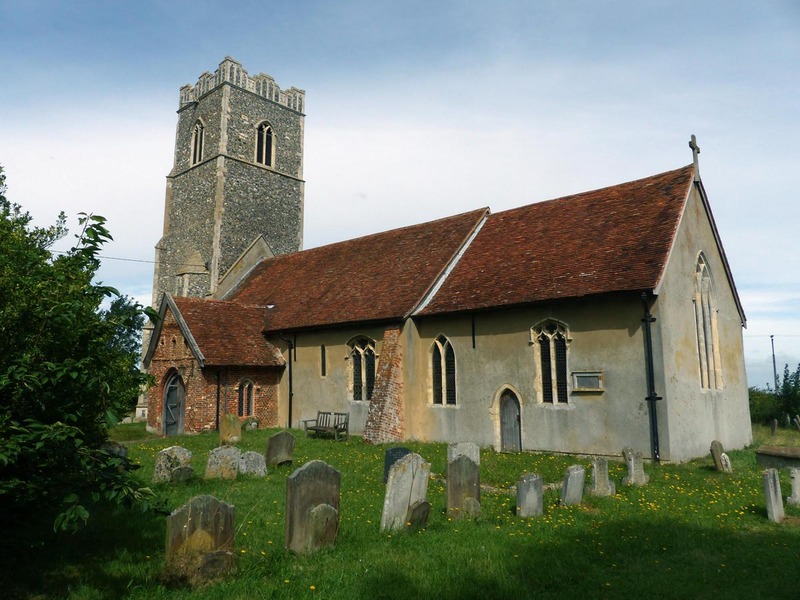 The photo was taken at the studio of C. F. Dowsing in Framlingham. In it he looks straight at the camera, relaxed and confident, with his right hand on his hip and an unlighted cigarette in his left hand, which is down by his side. There seems to be some kind of confusion as to whether he was killed in action or died in a prison camp. My family have always said that he died in the camp. I am very interested in the wording of the telegram that you found as that is possibly the notification that was sent to his family, my relatives. Regards, Roger. 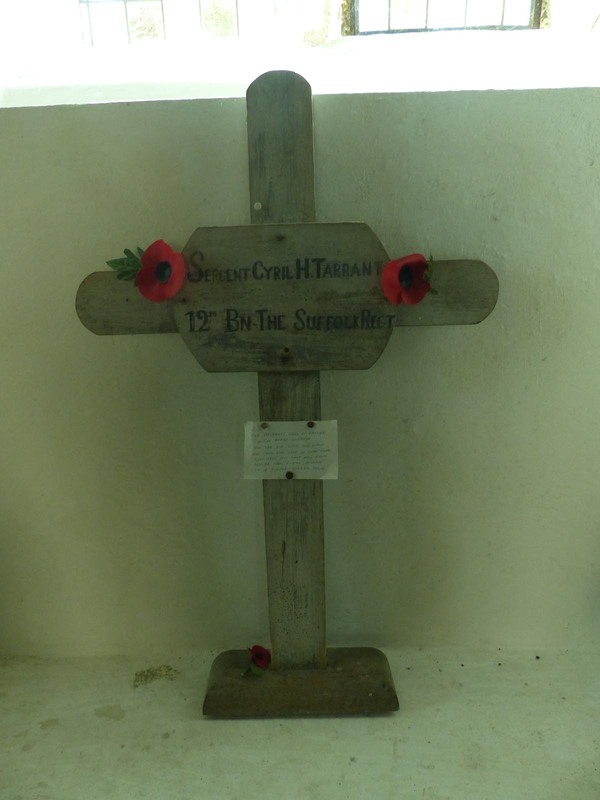 Hi Elizabeth, I visited Monewden last October and decided to update Cyril’s story on the IWM digital memorial. Perhaps you would like to add the transcript too?